SHANGHAI (Bloomberg) -- Ford Motor Co. will open its fourth passenger-car assembly plant in China today as part of a $4.9 billion expansion drive, putting it on track to overtake Hyundai Motor Co. in the world’s largest auto market. With the new plant, Ford will be able to produce 1.2 million vehicles a year in China, compared with 1.05 million units at Hyundai, according to data from the companies. That’ll place Ford behind Volkswagen AG, General Motors Co. and Nissan Motor Co. in sales among foreign carmakers in China. Carmakers are building more factories in China than anywhere else, lured by the promise of a vast untapped market where most Chinese still don’t own a car while those who do are looking to upgrade to bigger and more expensive models. Ford CEO Mark Fields will attend the opening ceremony in Hangzhou, eastern China, and fly to India for a plant opening later this week. “Ford clearly has the momentum,” said Robin Zhu, a Hong Kong-based analyst at Sanford C. Bernstein. “They’re very competitive, it’s now a better brand than the Japanese in China’s mass market." Ford will produce the Taurus sedan and Edge SUV at the new plant, according to Zhu. The company, which has said it’s targeting to be among the top three foreign automakers in China by 2020, declined to identify the models it will build at the factory, located in Hangzhou, before the official opening. 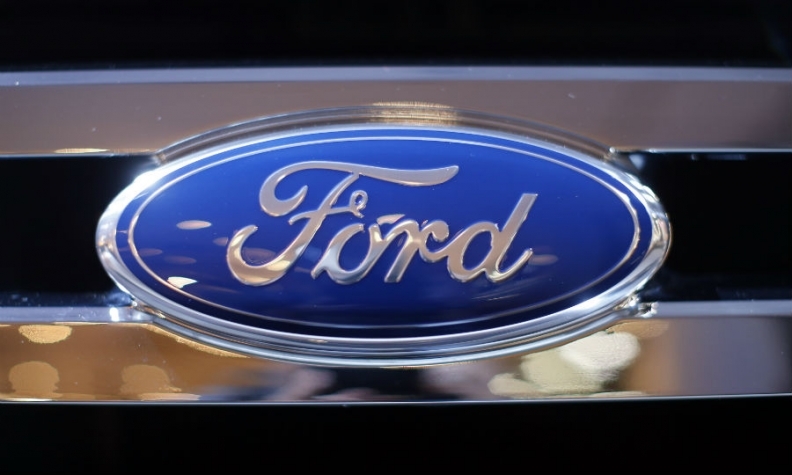 Ford has outpaced the industry in deliveries in the first two months, gaining 15 percent, compared with 8.7 percent for the passenger-vehicle segment, according to data from the China Association of Automobile Manufacturers. The automaker’s sales surged 19 percent to 1.11 million units last year, versus a 9.9 percent pace for the industry. The Focus was the best-selling sedan in China last year, while the Kuga ranked among the 10 best-selling SUV models, according to the association.